SLOVAKIA: Strong growth at stake? 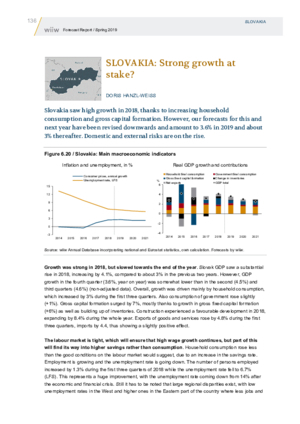 Slovakia saw high growth in 2018, thanks to increasing household consumption and gross capital formation. However, our forecasts for this and next year have been revised downwards and amount to 3.6% in 2019 and about 3% thereafter. Domestic and external risks are on the rise.